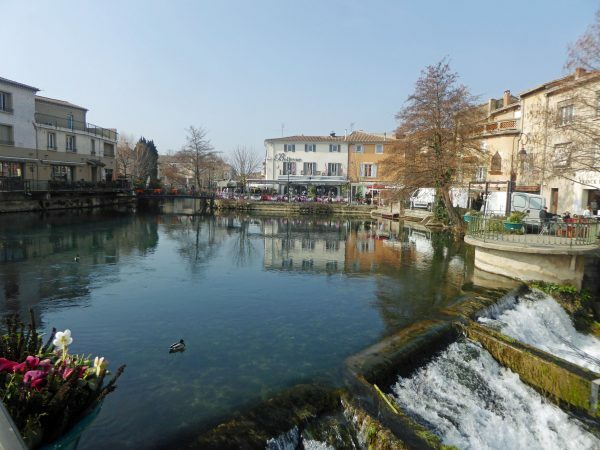 The town of L'Isle-sur-la-Sorgue. 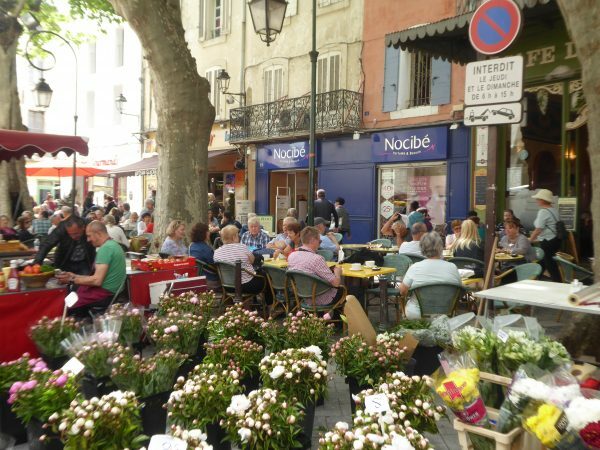 The Sunday morning market is one of the biggest in the area and includes a section of "brocante." 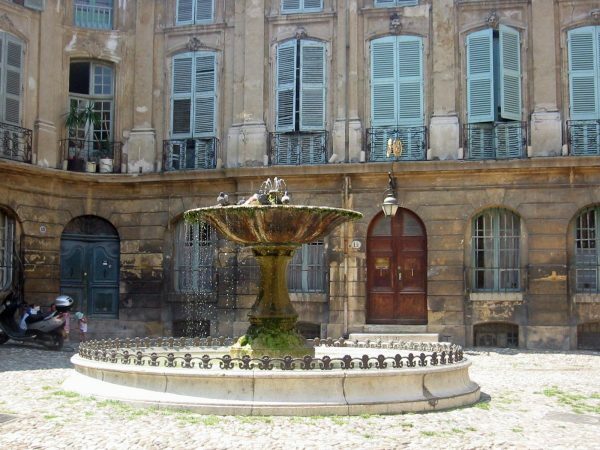 This is also one of the most important towns in France for antiques. Relaxing during the Sunday morning market. 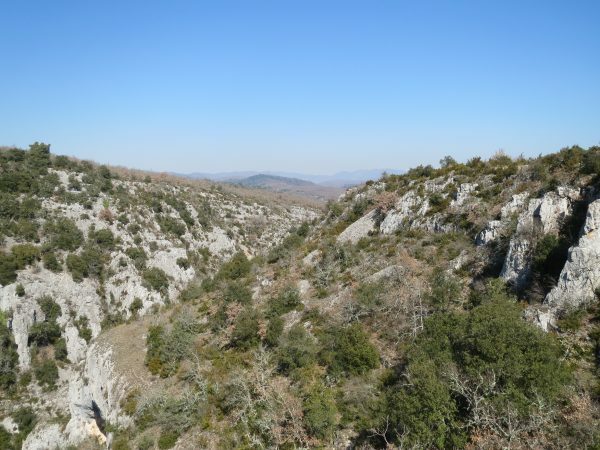 The Gorges D'Oppedette, stunning and rugged scenery to the east of Apt. 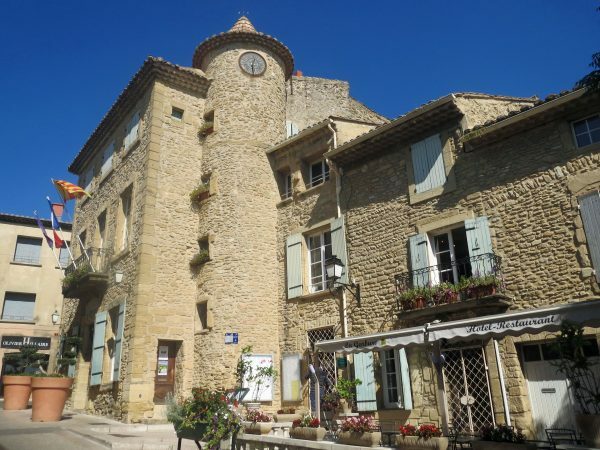 Simiane-la-Rotonde is a uniquely-situated village east of Apt. 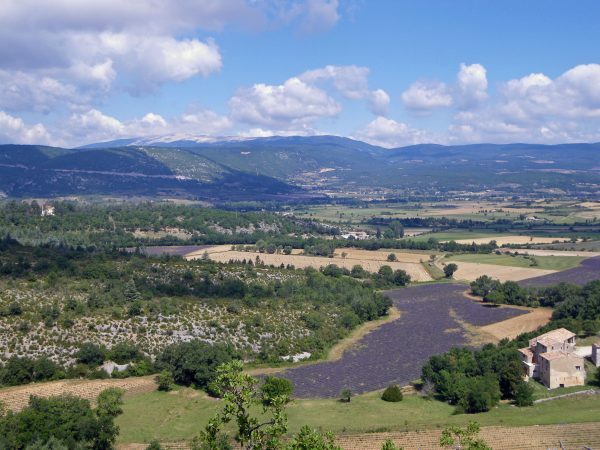 Lavender fields near Sault, on the way to Mont Ventoux. 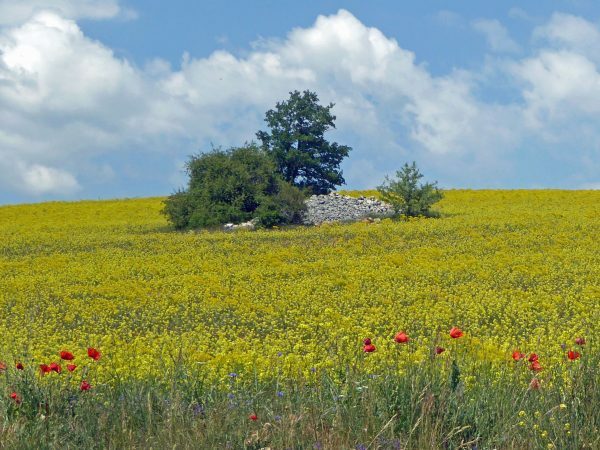 View from the town of Sault and fields of lavender and Sault. 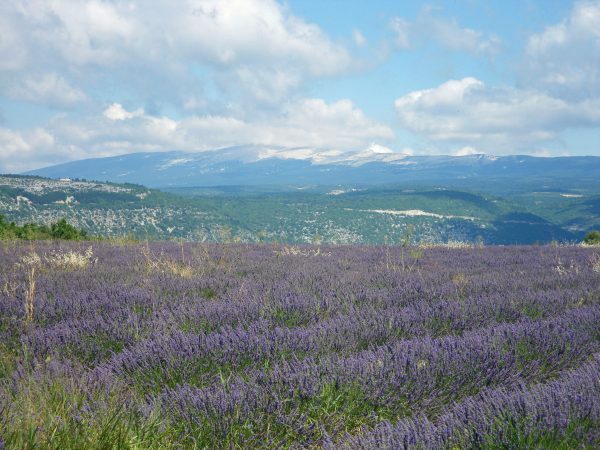 This area is one of the mont important in France for fine lavender. 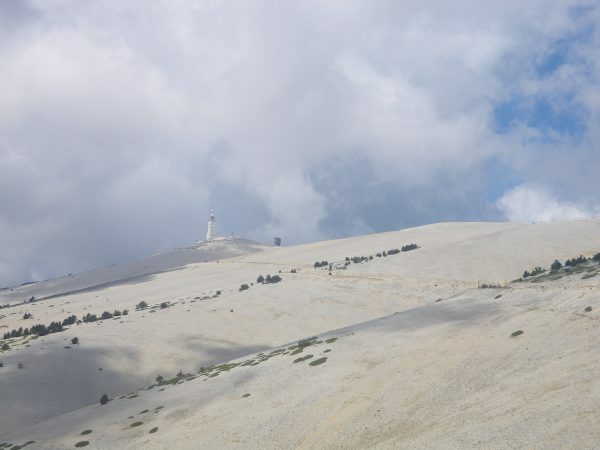 Approaching the top of Mont Ventoux. This looks like snow, but above the tree-line, it's stone scree... there year-round. 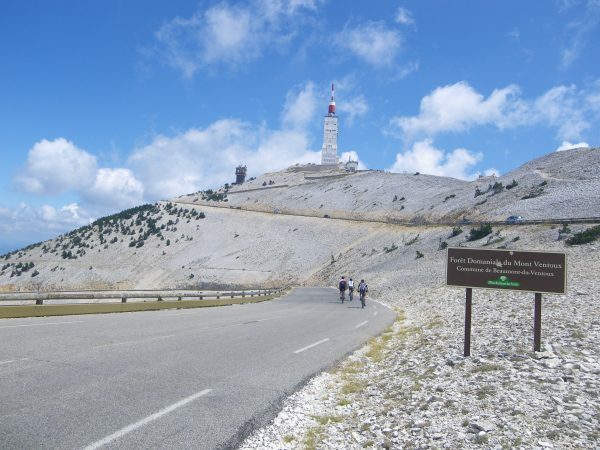 Cyclists approach the top of Mont Ventoux. 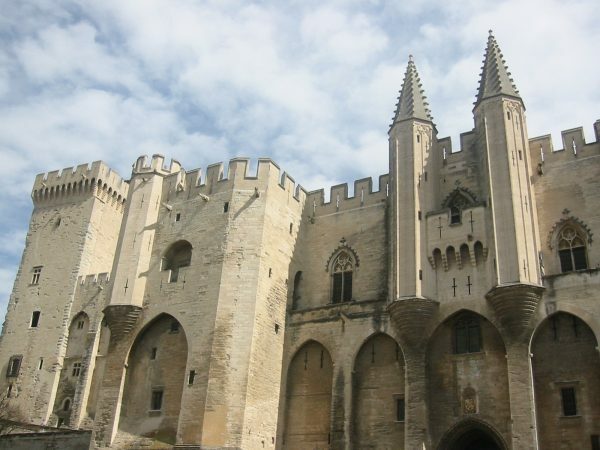 This is often a stage (a very tough one) on the Tour de France. 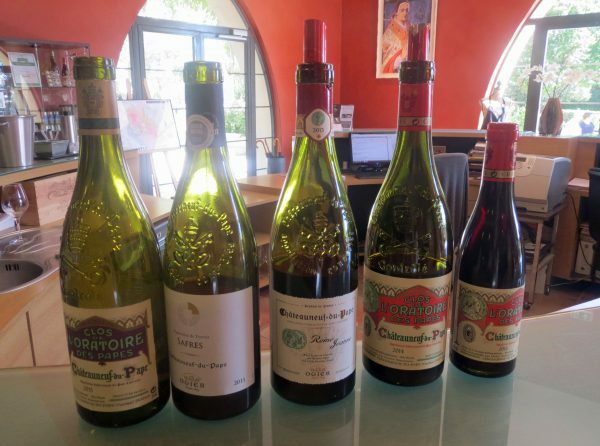 In the famous wine village of Châteauneuf-du-Pape. 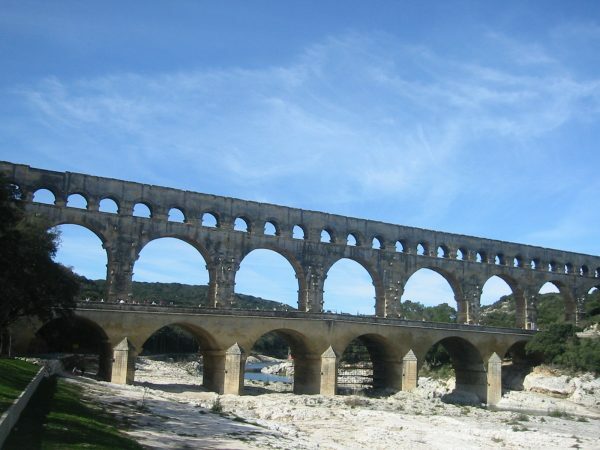 The famous Roman aqueduct, the Pont du Gard, which was built to carry water to the Roman town of Nîmes. 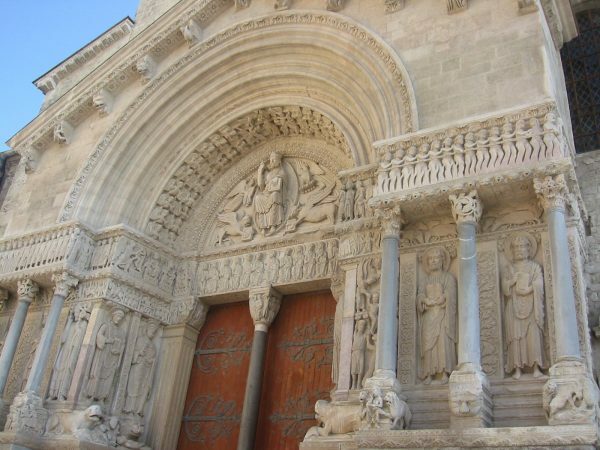 It's believed to have been completed in the middle of the 1st century AD. 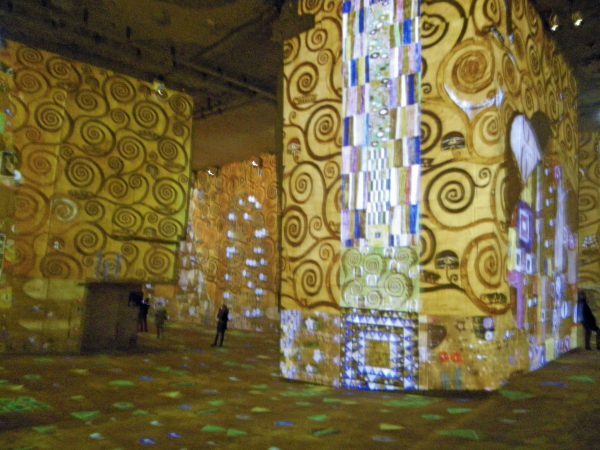 Now a UNESCO World Heritage site. 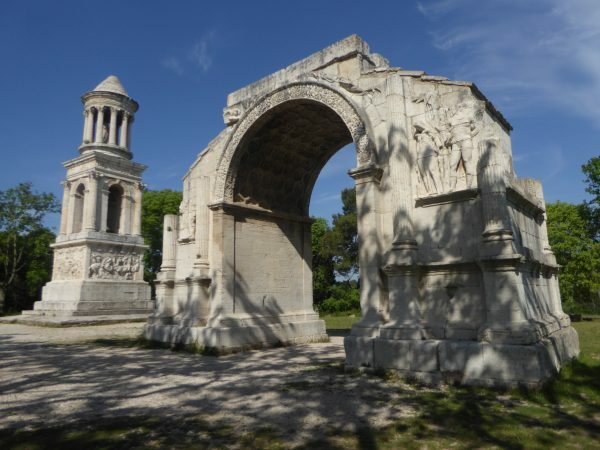 Some of the ruins at Glanum near St. Remy de Provence. 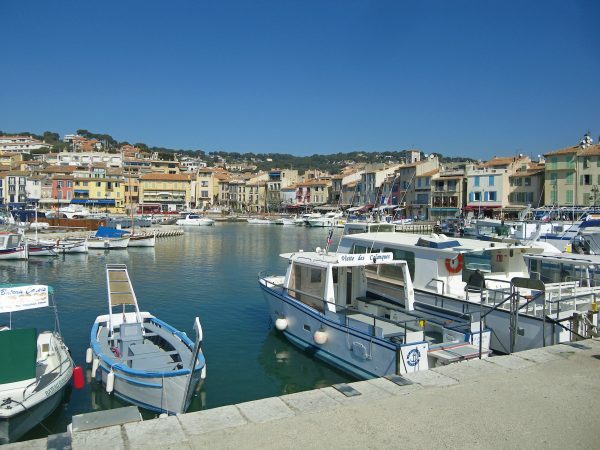 This was a Celto-Ligurian settlement beginning in the 6th Century BC, then a Greek town and then a Roman town. 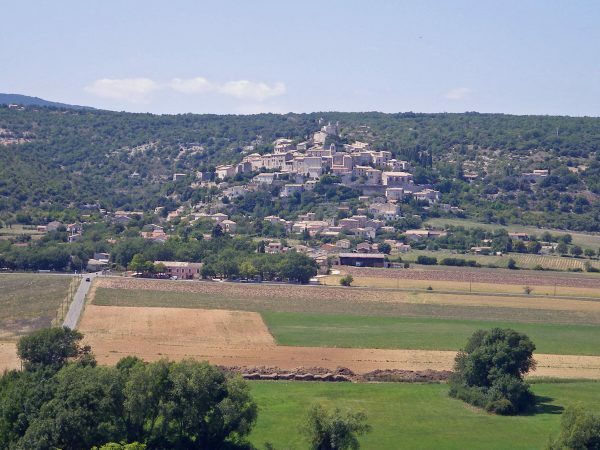 View from the fortress ruins at Les Baux de Provence. 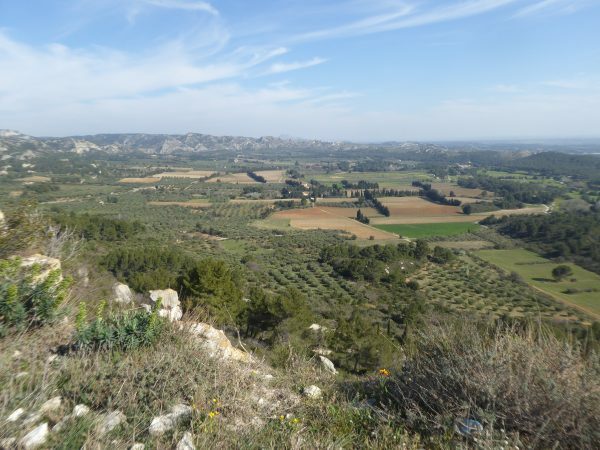 This is a major area for olive oil. 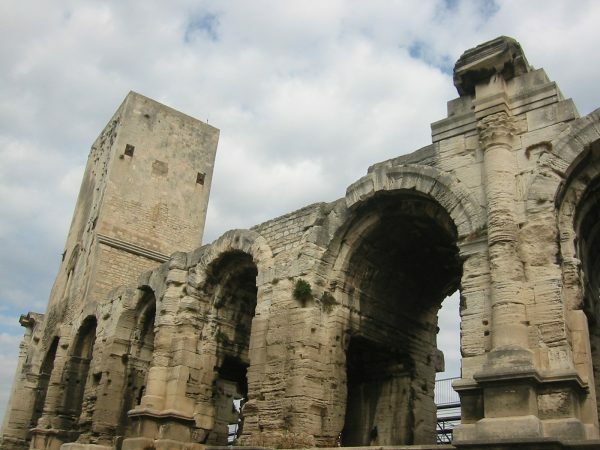 The Roman Amphitheatre in Arles, built in 90 AD. 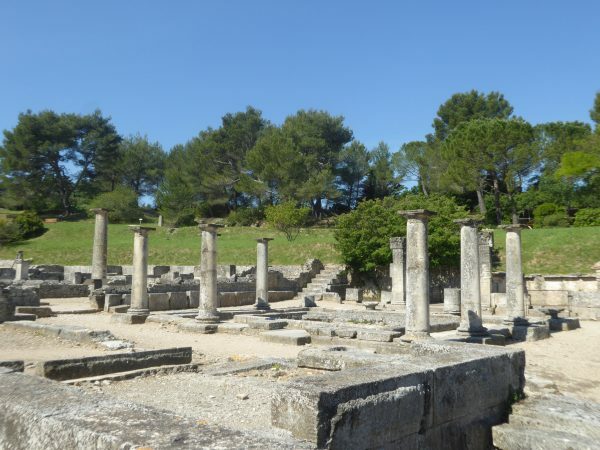 This ampitheatre once seated 20,000 people. 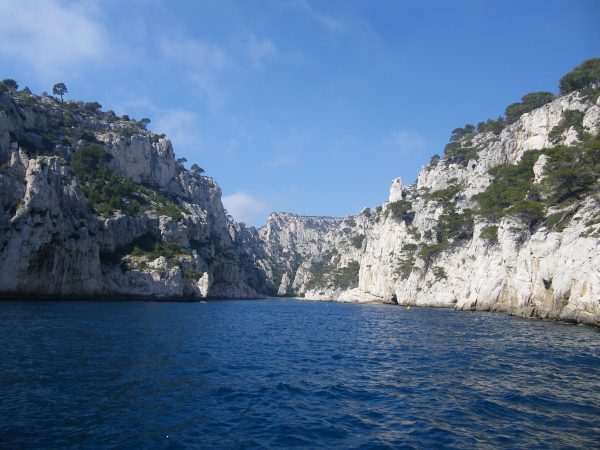 From Cassis you can take boat trips into the Mediterranean and visit inlets in the limestone cliffs called "calanques." 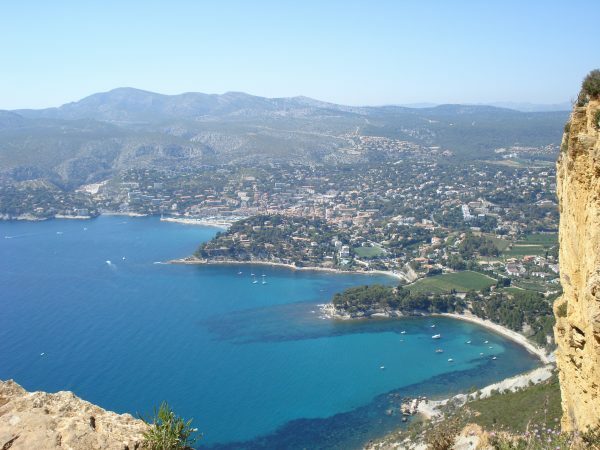 The Route des Crêtes, a nine-mile breath-taking drive along the clifftops between Cassis and La Ciotat. 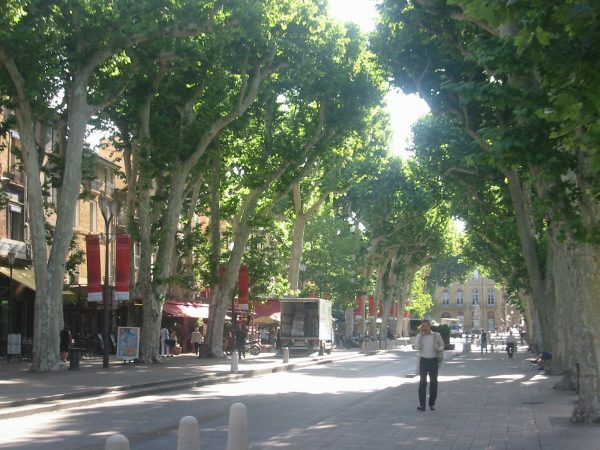 The Cours Mirabeau, the famous tree-lined street in Aix-en-Provence.